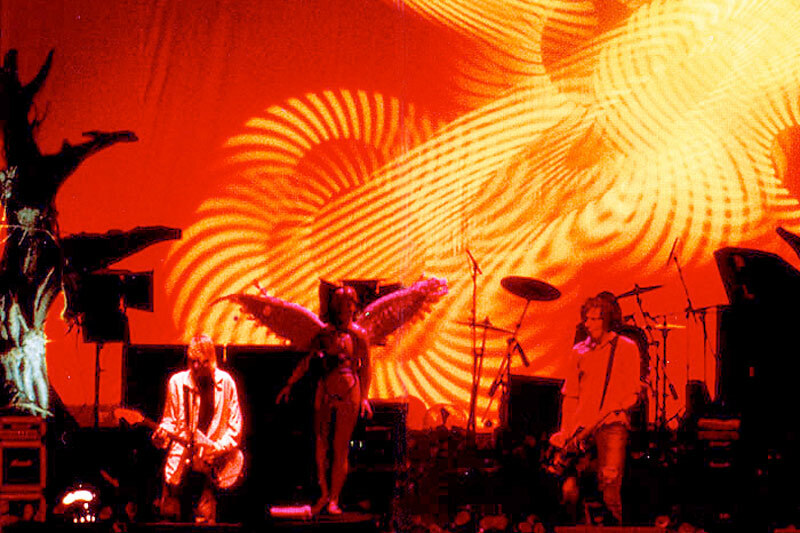 Gnarled trees and lifesize anatomical models with angels' wings were set pieces scavenged from Nirvana's Heart Shaped Box video shoot and used as the stage design for the U.S. leg of their In Utero 1993-1994 tour. 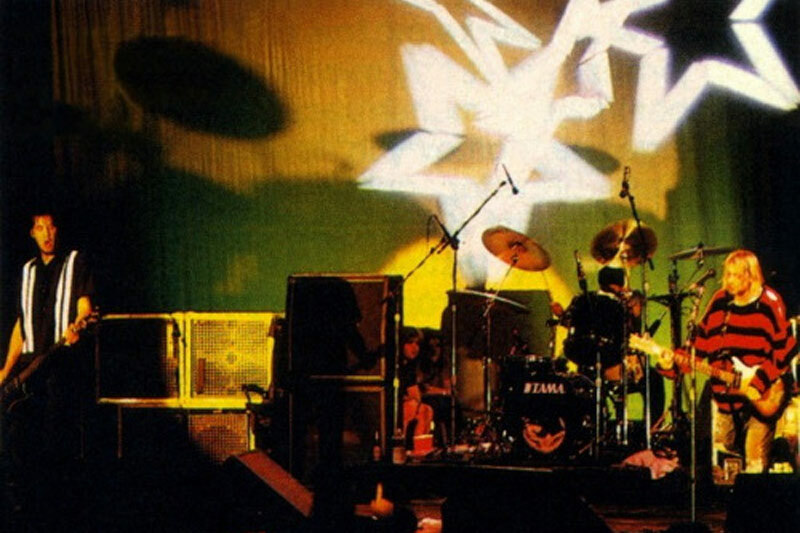 The band playfully destroyed most of the sets nightly as part of the show. 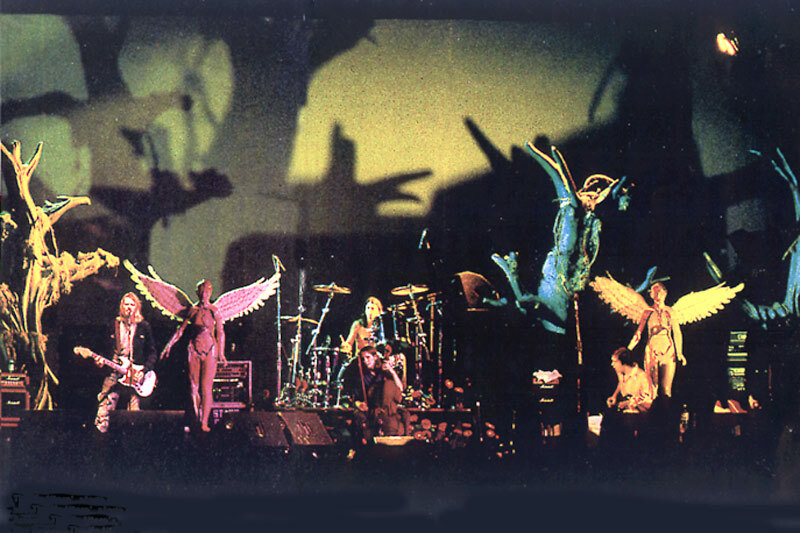 By the end of the tour the trees and battered angels were left in the trash and the stage was streamlined for the remaining European shows that followed.